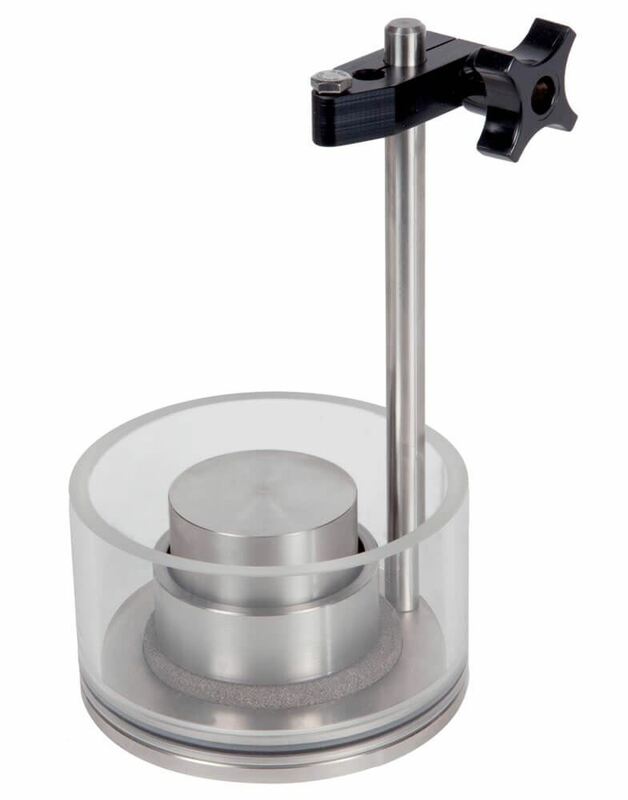 Basic Swell Consolidometers - Gilson Co.
Self-contained Basic Swell Consolidometers are used for swell and expansion tests on soil specimens of 2.44 or 2.50in (62 or 63.5mm) diameters. The simple method provides rapid results to predict swell potential for soils with no need for a separate loading frame. Specimens are prepared by compacting soil into a stainless steel compaction ring. The ring with specimen is placed in the Consolidometer between two porous stones and loaded to 60lb/ft2 (2.87kPa) with the Loading Weight. 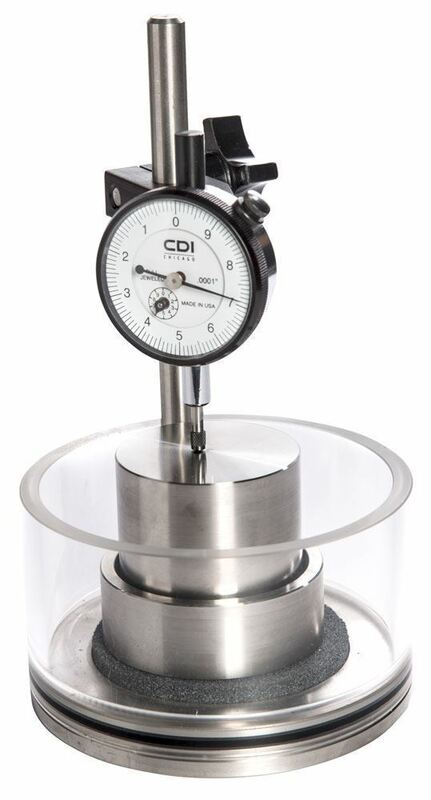 A dial indicator is set to the initial sample height and the Consolidometer is filled with water to begin the test. HM-564 tests 2.44in (62mm) diameter specimens. HM-565 tests 2.5in (63.5mm) diameter samples. The compact, all-in-one design is equipped with a stainless steel base, Compaction Specimen Ring and Loading Weight, Porous Stones, an acrylic ring to contain the water, and an adjustable dial indicator holder. Loading weights and Porous Stones are also available separately as replacements. A dial indicator is required and available separately. Additional stainless steel Compaction Rings can be purchased to increase sample preparation efficiency. The HMA-836 Permeability Compaction Hammer is used to compact soil samples into a Compaction Ring secured in a Compaction Base and Collar assembly. The drop-hammer is supplied with 100g (0.22lb), 1kg (2.2lb) sliding weights and a 2in (51mm) diameter tamping foot. Drop Height is adjustable from 4 to 8in (102 to 203mm). Compaction Base and Collar for each specimen size and the Compaction Hammer are all purchased separately. Acrylic Ring: 4.5in (114.3mm) I.D.